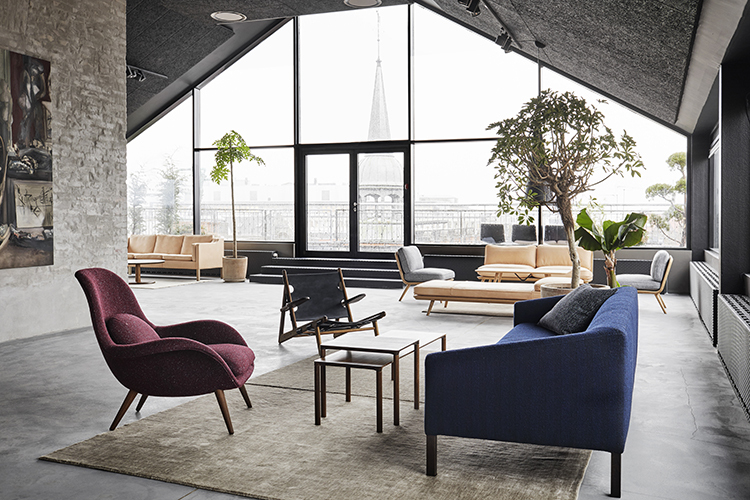 In January this year, iconic Danish furniture store, Fredericia opened it’s doors to a capacious two-floor showroom in the prestigious former Royal Mail House in the heart of Copenhagen. 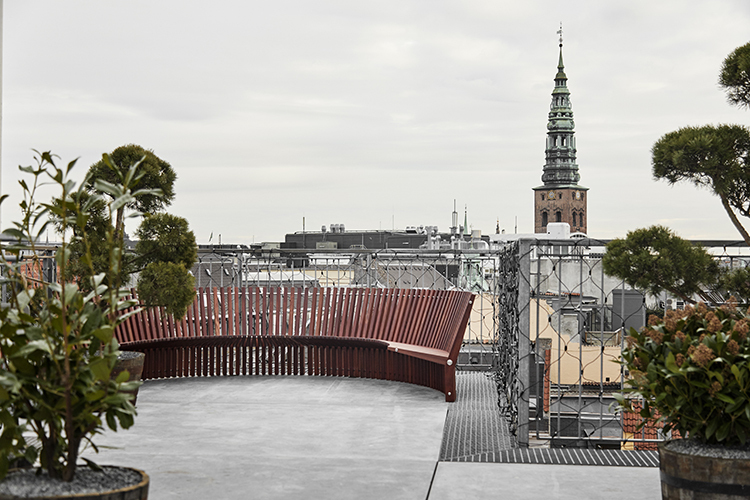 Second generation owner, Thomas Graversen explains that it has always been a dream to create ‘a place where tradition, aesthetics, and creativity go hand in hand’ and this prestigious building, full of history, is the perfect canvas from which to display the richness of the Fredericia brand. 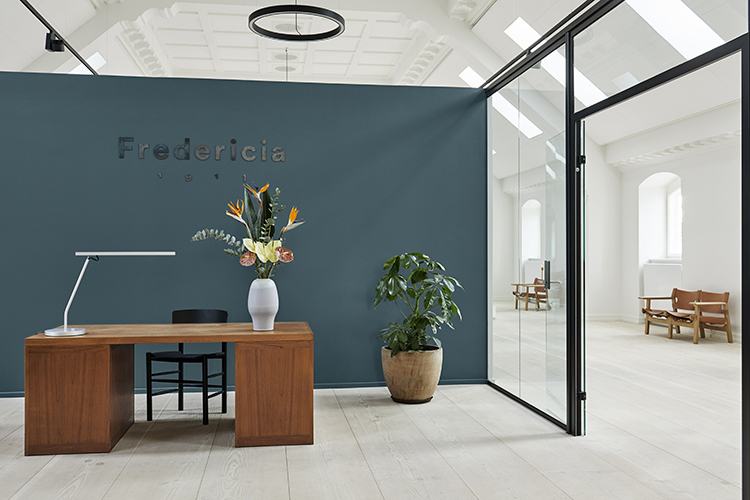 Founded in 1911, Fredericia has an expansive portfolio of furniture which calls for a showroom that can accommodate their entire range from classic to contemporary and from intimate to grand. The Royal Mail House is more than fitting with its high ceilings, Baroque architectural detailing and flooded with natural sunlight. Our founders describe it as an ‘absolute joy’ as they visit the showroom with Great Dane Furniture. 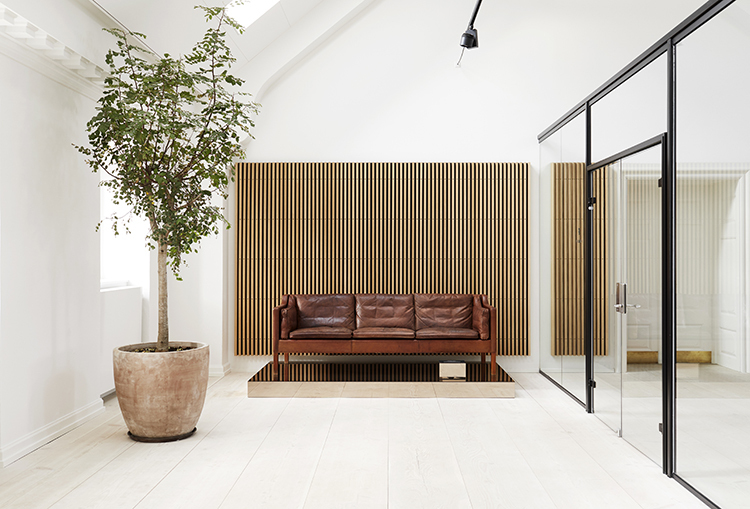 The showroom is an example of classic Danish design, gallery-like, with pure white walls and exposed brick. 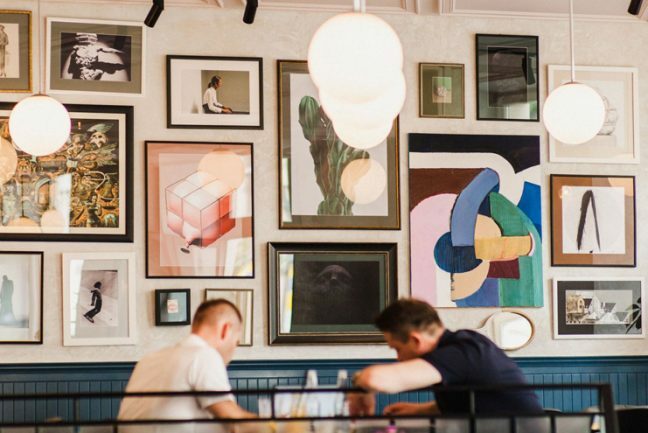 Spread across the floors are cool, lime-washed timber boards and polished concrete, both softened with rugs and greenery. 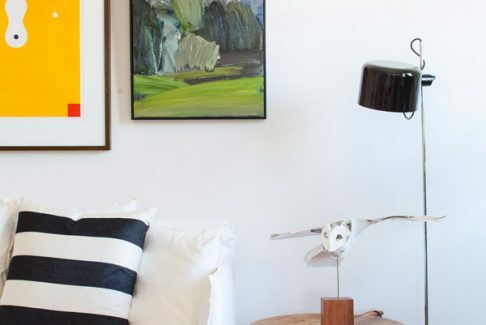 The juxtaposition of its heritage structure and contemporary finishes adds to the gallery-like atmosphere, allowing visitors to view the furniture pieces as they should be, as works of art. 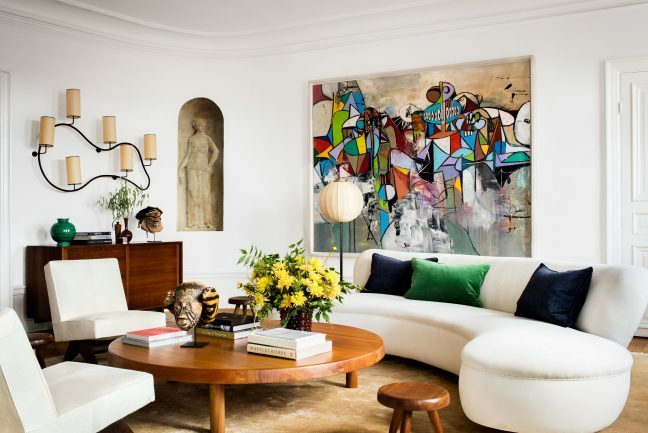 The masterpiece, Børge Mogensen’s original 2213 sofa (which for many years lived in the designer’s own home) stands heroic in the showroom, a reminder of the company’s rich history. Fredericisa’s CEO, Kaja Moller sees the new location as an investment to the growth of the brand as being internationally regarded by architects and designers alike, she explains the space as a ‘living showroom’ offering unique opportunities to visitors including a creative workspace and changing gallery. 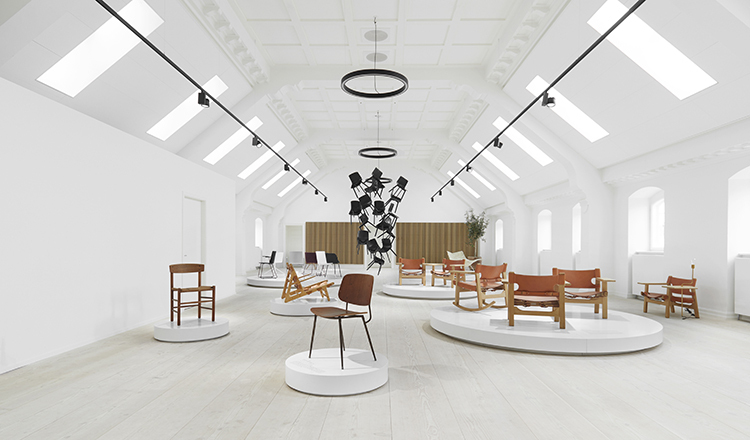 The Fredericia showroom is a timeline – it is a story spanning for more than 100 years of quality furniture production, a true testament to iconic design and modernism.